Mix all marinade ingredients (except of the bay leaves) and blend. To the received substance add whole bay leaves and diced fish (the fish cubes should be circa 3 cm thick). Put for ca. 2 hours in a cold place to pickle. Thus prepared fish put on sticks and grill (or fry or bake). 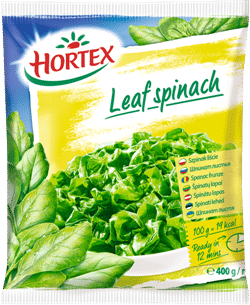 Fry the leaf spinach in butter, add the blue cheese and garlic. 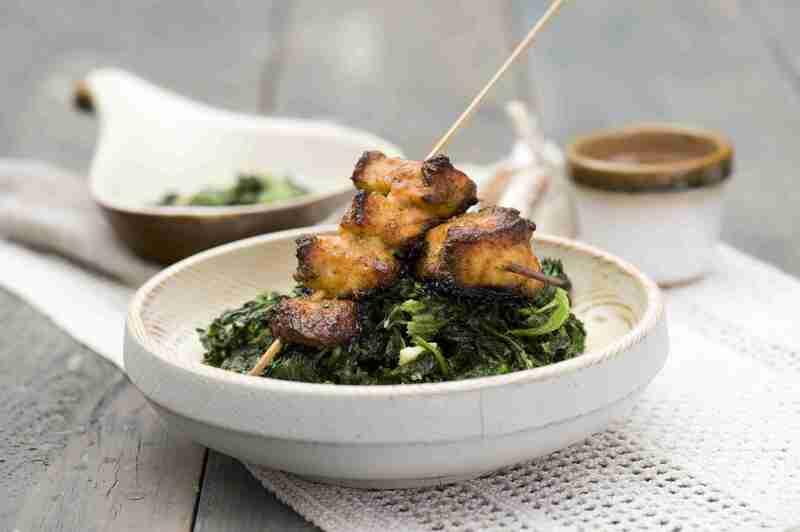 Serve the fish skewers on spinach.